Adam Ayan is a GRAMMY-, 5x Latin GRAMMY-, and TEC Award-winning mastering engineer who works out of Bob Ludwig’s Gateway Mastering in Portland, Maine. Adam graduated from the University of Massachusetts at Lowell’s Sound Recording Technology program in 1997 before starting at Gateway Mastering as a production engineer in August 1998. He then worked as assistant engineer to Ludwig himself, during which time both he and Bob realized his aptitude for mastering records. In August 2001 he opened his own mastering room inside Gateway Mastering. Adam has had the opportunity to master thousands of albums over the course of his career. His credits are as diverse as they are impressive, spanning across household names in many genres. A quick glance at his résumé shows he’s worked with Paul McCartney, Carrie Underwood, Katy Perry, Lana del Rey, Gwen Stefani, Father John Misty, Taylor Swift, Shakira, Madonna, Foo Fighters, the Rolling Stones, Kelly Clarkson, Bruce Springsteen, Rush, Rascal Flatts, Pearl Jam, The Animals, and Keith Urban. As is the case with many of the professionals we have the pleasure of speaking with, this is a small selection of his many, many projects! Adam has mastered recordings for 46 individual GRAMMY-winning artists, as you might guess from the list above. Amongst them have been many gold/platinum recordings and handfuls of #1 singles and albums. In 2018, Adam was also nominated for Audio Engineer of the Year by the Academy of Country Music. Apart from his work as a mastering engineer, he is an active member of the recording industry community. He’s had the pleasure of being a guest speaker for numerous events and organizations, including NARAS; The Grammy Foundation; SXSW; the Audio Engineering Society; the Acoustical Society of America; Berklee College of Music; and TEDx. As you’d probably expect from a world-class mastering engineer, Adam is passionate about music and his craft. Adam first got in touch with Bob Ludwig in 1996—his senior year of college at the University of Massachusetts. He was the president of the AES Student Chapter at the time. As part of his responsibilities as president of the chapter, Adam was required to reach out to recording industry professionals to come and speak at the university on a monthly basis. Adam contacted a number of people, but had a feeling Bob would be gracious enough to participate in the event. At the time, Gateway and Bob had been settled in Maine for about 3 years, and the University of Massachusetts at Lowell was only about a 2-hour drive away. Sure enough, Bob agreed to visit the AES Student Chapter meeting at UMass, which is where he and Adam met for the first time. 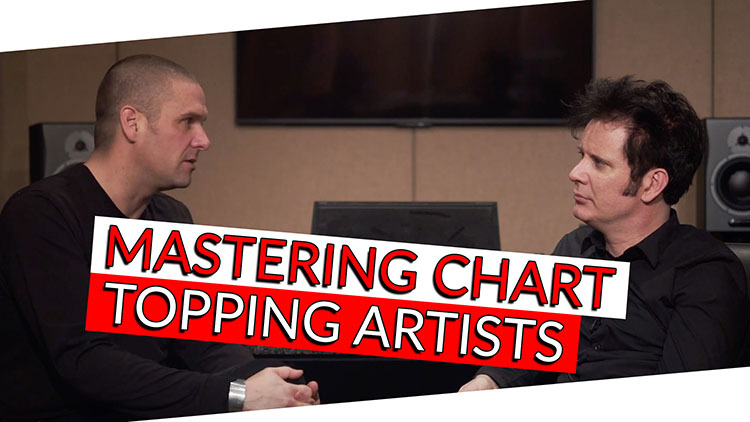 Prior to Bob’s visit, Adam recalls doing some basic internet research on mastering so he didn’t look like a fool in front of a legendary mastering engineer. At the time, Adam’s audio program didn’t even feature a mastering course, which is still the case in many recording technology programs to this day. Mastering was still a bit of a mysterious process, so he learned as much as he could online (in 1996! ), which subsequently piqued his interest in mastering as a potential career path. After Bob’s speech at the student AES event, Adam reached out to Gateway to do his final college internship there. Gateway didn’t, and still doesn’t offer internships, so he was declined a position. However, about a year and a half later, the director of the Sound Recording Tech program at UMass contacted Adam to let him know Bob was looking for a production engineer at Gateway. Adam sent multiple copies of his résumé and went through the interview process before landing the job. To be hired for a paid position at a studio freshly out of college is somewhat of a feat in and of itself! Adam did note, though, that he went through the unpaid intern experience at a mastering studio in Cambridge, Massachusetts as part of his coursework, eventually being hired by them in the interim between landing the gig at Gateway. So, he had been making money in the mastering world for a couple of years before starting at Gateway. His experience in that former position was invaluable when it came time to interview for Bob Ludwig and become his production engineer. As part of the interview process for the production engineer position, Bob had candidates listen to a “booby-trapped” song and go through a quality control check. Things like clicks, pops, errant 6, 8, or 12 kHz tones, etc., were all part of the checklist interviewees would try to find and note during the test. Because of his skill, talent, and experience in previous professional positions doing just that, Adam excelled at the test, finding nearly all of the abnormalities Bob had laced the track with! It’s no doubt that his skills showed during that test, but Adam’s temperament and demeanor as someone who Bob could teach surely came across as well. Adam had the pleasure of working on the soundtrack to the recent Queen film, Bohemian Rhapsody. About a third of the soundtrack contains cuts from 2011’s Queen remasters, which were actually done by Bob Ludwig! For the 2011 catalogue remasters, each studio album was released alongside an album of unreleased material from the same time period, which was what Adam was hired to do at the time, as well. His relationship with the Queen camp and their label led to his being able to work on the Bohemian Rhapsody soundtrack. Part of Adam’s work on the soundtrack was compiling Bob’s 2011 remasters, and then mastering everything else from the soundtrack, including live performances, new mixes of classic Queen hits, and other soundtrack elements. Queen are also one of Adam’s favorite bands, so it was a pleasure for him to be a part of this latest project! Part of the difficulty of remastering classic material is enhancing its quality for the modern listener while somehow also retaining the feeling and excitement of the original recording. In some cases, Adam says a client will request a brand new, modern sounding remaster with no regard for the original content, but that’s seldom the case. Part of Adam’s process is to buy the original record and listen to it while he’s working, getting a feel for the record compared to the flat, unmastered mix files which the client provides. If the album was ever released on tape, he loves to get the tape as well and play it through Gateway’s machines for an idea as well. He likes to get as close to the source as possible, compare that sound to what the current world is accustomed to hearing, and make the remaster as good as possible with respect to both the original recording and modern tastes and trends. Ultimately, it’s up to the client to provide some direction, but Adam typically will preserve the original masters as much as possible while making it sound better. His setup at Gateway is optimized for a hybrid workflow, and Adam favors tools that are both easy to use and extremely functional. It isn’t about cutting corners, but being able to get to the place a track needs to be quickly leaves more room for relying on instinct and keeping the musicality of a project alive. Mastering is a game of inches, so Adam is keenly aware of the impact each piece of equipment can make on a recording. He tends to rely on gear that he knows well and can rely on to accomplish what he wants. Adam’s skill as a world-class mastering engineer has afforded him a tremendous career working alongside Bob Ludwig and on his own at Gateway. His ability to adapt to multiple genres and have the musicality to enhance them all is a telling feature of a great mastering engineer. #1 records and accolades aside, Adam Ayan is a fantastic individual, which is another way he has grown his business over the years and achieved success in the recording industry. Please enjoy the following interview with Adam Ayan of Gateway Mastering.